Quam bene vivas refert non quam diu. It is how well you live that matters, not how long. This one really resonated with me hard. Over the past years, I saw people passed on—young and old, rich and poor, healthy and sick. I slowly understood how our journey here on earth ends at various timelines and this is something we can't control. We might live long to see our grandchildren or might not even make it. Who knows? Nobody can really tell. Yet, you know the only thing we can control? It's how well we live this life that we are fortunate to have and how we make the most of our time here. Dear friends, I hope this truth is enough reminder for us to live a life that matters—a life that we can be proud of when we look back into it one day. Every new day is a privilege for us to do something worthwhile and a chance for us to make a difference in ourselves and in the lives of the people around us. It doesn't have to be one daily grand gesture but doing little things like being kind to someone you meet on the street or telling your family how much you love them or spending quiet time with yourself—the list is endless but these little things can collectively make an impact. I know things will not always be perfect, we won't always make the best decisions every time and we would probably mess up once in a while and that's okay. We're humans after all. But while we still wake up each morning, I hope we find the courage to start over and try again. I hope that we find the acceptance to let go of the things that are not meant for us. I hope we find the motivation and the right mindset to only pursue the things that really matter. Hi everyone! I am back after spending the last few months trying to get myself together. 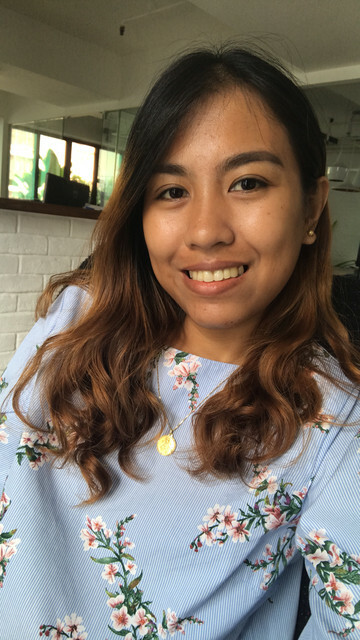 You may know from my last post how I fell into depression due to work reasons and how I was able to get back up again through my personal faith. With God's grace, I am about to start a new job in a few weeks - an exciting new chapter in my career. Anyhow, belated happy new year friends!!! Well it's the first day of Lunar New Year here in Hong Kong so technically, I am still on time, right? ;) Today, let's talk about the word that I aim my 2019 to sum up to: GRIT. Grit in reference to behaviour is generally defined as firmness of character. This positive trait is a product of perseverance and passion to achieve a long term goal. It is also closely related to resilience which is one's ability to quickly get up after a crisis. If we pay more attention to build our grit, we will be able to to follow through our goals, no matter how daunting and at times, impossible it may seem. Going back to 2019 and grit, well, to be honest, I don't think I am the most persevering person in terms of long term goals. I have always been the go-with-the-flow type. But this year, I am hoping to change that. It is high time to work on those long-term goals with a gritty attitude if we want to fully succeed. With success comes hardships; if we falter upon the very first road block then we will probably be stuck there forever. Who wants that? I sure don't! Friends, the concept of grit is also fairly new to me. I am still trying to learn it myself. 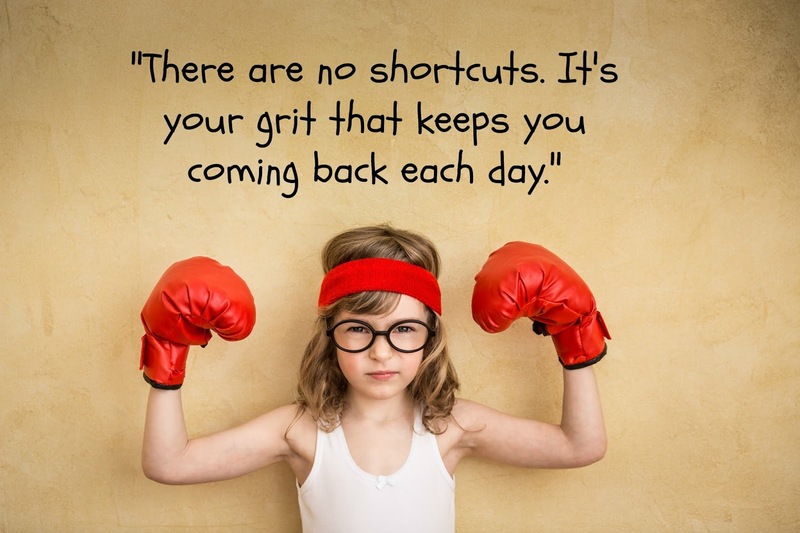 If like me, you are interested to know more, there are lots of resources online that teaches how we can develop our grit. This year, let's aim to be (more) gritty! For sure, our future selves will thank us. Earlier this year, I went through one of the most challenging phase in my life. It broke me. It shattered my faith and my self-esteem. Little did I realize, it was God's way of preparing me for something better. When big challenges come to us, almost always, the very first thing that we feel is fear; the very first question that we ask is "What if?". We feel afraid of the uncertainty that lies ahead. We taunt ourselves about the many possibilities that things could go for the worse. I won't deny it, I'm an over-thinker. So when I heard about that bad news, I was shaken. Since it was a first, I honestly didn't know how to handle it. I panicked and I got so worked up that I eventually fell into depression. And so for weeks, I've battled the inner struggle to overcome my depression and pessimism. I hit rock bottom. I felt lost and empty. I detest being depressed but I felt like it was something very hard to share to others because I thought no one would understand me. I just prayed and kept it all to myself all those time but when it felt like I was really on a dead-end, I told God, "Lord, I am very tired. I don't know what to do. Help me please." Eventually one Sunday, I came to The Feast HK gathering, which I haven't done so in many months. I joined the other members of the community in worship and we all listened to the preaching like we always do. When it was time for sharing our reflections and thoughts, I mustered the courage to open up about my situation. One of my sisters in the community then consoled me saying, "When you feel empty, be expectant because it means God is filling you." Those words really stuck with me like glue. Later that day, I thought to myself, "Oo nga no! Why did I let myself be blinded and bounded by my fear and anxiety? Why did I forget that God is bigger that any of this? Why was I afraid now when God has delivered me through countless challenges in the past. He will get me through this one too!" It was a eureka moment for my empty and drained self. To be honest, I was ashamed of myself because even though I believed in God, at that time I didn't believed enough to see that He will deliver me. From that day on, I surrendered to God all the what-ifs and the fear that I had about my problem. I started talking to my loved ones and few close friends about my situation and my depression. Indeed, little by little, I was filled and I recovered. My family and friends reminded me that I am not alone and that I am loved no matter what. They assured me that things will get better, that I will get through it. Coupled with tons of prayer and the support of the people around me, things brightened up again slowly. Fast forward to few months later, I received one good news after another but the highlight was about something that my husband and I have been praying and working hard for for years now. It was then that I saw the bigger picture that God has planned for me. He was actually preparing me for my next move! Most of all, I realised that He is not deaf to all my pleas. I just had to trust His timing. My friends, it was a really crazy ride. But looking back at it all, I am very grateful that God broke and emptied me because I learned to trust Him more than ever. I experienced to live by faith and not by sight alone...as the song goes. It's such a life-changing episode. I may have cried buckets of tears but it was totally worth it because I came out stronger and better. For sure, there will be bigger battles to conquer in the near future but this experience taught me that when we totally let God work in our lives, we will surely come out victorious because God is faithful in His promises. Before I end this post, let me leave you some verses that helped me during my struggle. If you are going through something right now, I hope in some way, these will console you. Always remember, when God empties you, it is because He is filling you. Cling on to that promise. P.S. Thank you to all the people who helped me in their own little ways. You know who you are. May God bless you more!